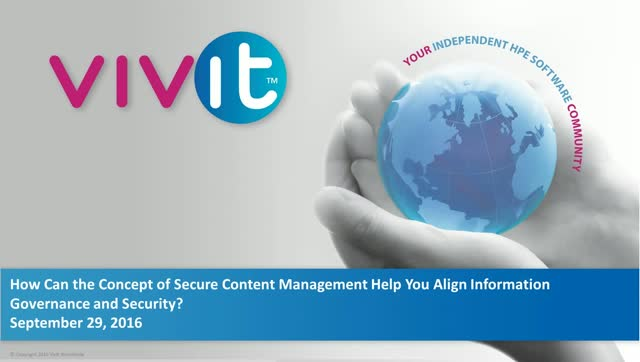 Join this interactive webinar to see how you can leverage the concept of secure content management to support privacy and information security transparently within your information governance program. You will also learn how the need for security, business continuity and data protection be balanced with collaboration and productivity expectations to successfully deliver the desired business outcomes for your stakeholders and customers. There will be opportunity throughout the session to share your thoughts, experiences and answer any questions.